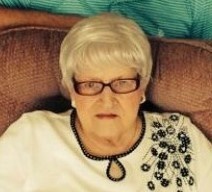 Obituary for Grace Ethel Cameron Raborn | Boyd Funeral Home, Inc.
Grace Ethel Cameron Raborn, 83, passed away peacefully on Sunday, November 25, at Arkansas Hospice in Little Rock. She was born October 16, 1935, in Lonoke County, Arkansas, to Clarence E. Cameron and Grace (Morris) Cameron. She married the love of her life, Carl Way Raborn, on June 10, 1954. The couple settled in Carlisle, Arkansas, where they raised their two children, David Rex Raborn, and Lisa Kaye Heatherly. Grace graduated from Carlisle High in 1954 and later went on to open one of the first Carlisle kindergarten classes in her home. She taught kindergarten for many years and touched many families’ lives through her love for the kids. She was a gifted speaker and writer and wrote her own kindergarten programs at the end of each year. Grace was a devoted and loving grandmother and great-grandmother, never forgetting a birthday or anniversary. She was “Mimmie” to her family and loved to bake for and write letters to them. She loved Jesus and spent time praying for others, as well as ministering to others in times of need. She was a member of Trinity Chapel Church. Grace had a dry, intelligent sense of humor enjoyed a good book and watching movies. She will be missed by all who knew and loved her. Grace was predeceased by parents Clarence and Grace Cameron, her husband Carl; siblings Clarice Weare, Buddy Cameron and Mary Needham. She is survived by a sister Dorothy Henderson of Decatur, AL; son and daughter-in-law, David Rex and Jean Raborn of Carlisle; a daughter and son-in-law, Lisa and Kevin Heatherly of Rogersville, MO; five grandchildren and 10 great grandchildren. In lieu of flowers, donations can be sent to Carlisle Fire Department, P.O. Box 49, Carlisle, AR 72024-0049.